Far from being a naughty treat, coffee could actually have a really positive impact on your health. For many of us, a cup of coffee in the morning is an essential part of our daily routine. The caffeine boosts wakes us up and gets us ready to face the day. However, there could be more to your morning cup of Joe than you think. As well as giving us an energy boost, it could actually have lots of health benefits. So if you’ve been thinking about kicking your coffee habit, then don’t! Here are some health benefits associated with coffee, however you choose to drink yours. Recent studies have shown that drinking coffee regularly could have real benefits for your cardiovascular health. 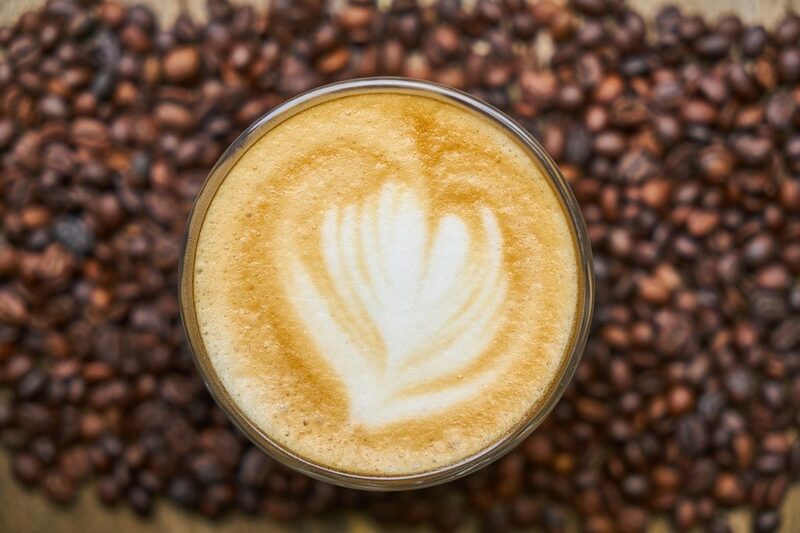 A moderate amount of coffee, or around 400 millilitres a day, could see your risk of heart failure drop. Of course, this doesn’t mean that you should dramatically increase your intake, but if you’re the kind of person who has a cup in the morning, one in the afternoon and then one after dinner, you’re on the right track. Other health benefits associated with daily coffee intake include a reduced risk of type 2 diabetes, liver disease, liver cancer and Parkinson’s disease. So drink up! If you suffer from acid reflux, then you don’t need us to tell you that coffee can play havoc with your symptoms. However, some coffees will be much gentler on your stomach. Dark roasted coffees cause the stomach to produce less acid. This will come as a surprise to many people. After all, wouldn’t it make sense for a milder or lighter roast to be gentler on your stomach? Well, darker roasts have twice as much N-methylpyridinium (or NMP for short) – and it’s this particular compound that reduces acid production. Dairy free alternatives are lower in fat and great for those with a lactose intolerance, and there are several on the market. We find that both Plenish and Oatly milk substitutes work well with coffee. Plenish almond milk is one of the most popular dairy milk alternatives out there. Made from just three ingredients and with no additives, preservatives or sweeteners, it’s the perfect choice for those who are wanting to maximise the health benefits of their daily coffee. Plenish is high in vitamin E, which has powerful antioxidant properties, and it’s also packed full of protein, which helps to keep bones and muscles healthy. Oatly is made from oats with rapeseed oil, water and fortified with minerals and vitamins. Last but not least, meeting up with your friends for a coffee has real benefits for your mental health. What goes on in our heads is often overlooked while we prioritise our physical health, but that shouldn’t be the case. Stress and anxiety can make you feel physically ill, and it’s just not good for you in the long term. So whether you’re grabbing a coffee to go with your best friend or catching up with people at a mobile coffee house, just sitting down and having a chat over a cup of coffee will lift your mood for the rest of the day. The results are in, and far from being something we should cut out of our diets, coffee is actually good for you! So next time you grab an extra strong coffee on your morning commute or settle down with a latte and a biscuit in a coffee shop, know that this is one luxury that you can allow yourself. Now, if you don’t mind, we’re just going to pour ourselves a cup!